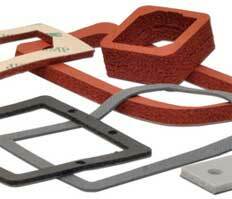 “Enclosure gasket” is a broad term that basically describes the gasket between a housing and a cover or door on the housing. The configuration and function of the enclosure can vary drastically, from metal to plastic, large to small, dustproof to waterproof, etc. NEMA and IEC International Protection (IP) standards help engineers define the specific requirements that need to be met for their design. As an example, a designer of an outdoors telecommunications base-station housing may call out IP65 or even more aggressive IP66. This tells the gasket designer that the gasket needs to be dust proof and water tight under hose down conditions (NEMA call out for this would be NEMA 3 or NEMA 4). It is critical to specify the correct gasketing material. 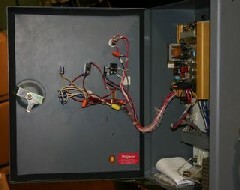 If an enclosure gasket fails, hundreds or thousands of dollar worth of sensitive electronics can be damaged. Items to consider are environmental conditions (indoor, outdoor), exposure to water, chemicals, oil, sun light (UV), etc. The general performance function required such as dust sealing, wash-down protection, or submersion will also determine the best gasket material for the enclosure. For material selection and applications assistance with enclosure gaskets or more information about NEMA and IP specifications, please call Stockwell Elastomerics at 215-335-3005 or complete a contact form for assistance.